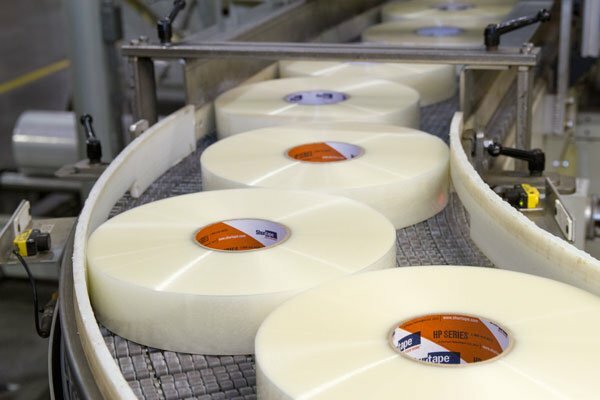 Packaging tape is an important consideration in the sealing process, especially as it maintains not only the integrity of your carton, but also the product inside. Hot melt tapes, like Shurtape HP Series packaging tape, are an excellent option for automated packaging systems as they are designed with several features that not only keep your cartons closed, but also keep your lines running smoothly. Shurtape HP Series packaging tape is constructed with a super-strong film and unique hot-melt adhesive formula, which delivers an instant, permanent bond to cartons to keep them secured and eliminate reworks due to weak seals. HP Series is also engineered with a special release coating that allows it to unwind easily and consistently from the roll, reducing the potential for the tape to stretch or break during application. And, with the highest holding power to fiberboard in the industry, HP Series holds strong, despite what your cartons may encounter throughout the distribution network. For sealing applications that require a specialized tape, such as cold temperature environments or sealing recycled cartons, HP Series is also available in unique formulations designed specifically to tackle these tough jobs. No matter your environment or application, HP Series performs reliably to the core. And, when paired with PrimeLoc tape applicators, delivers the secure seals you demand, carton after carton.